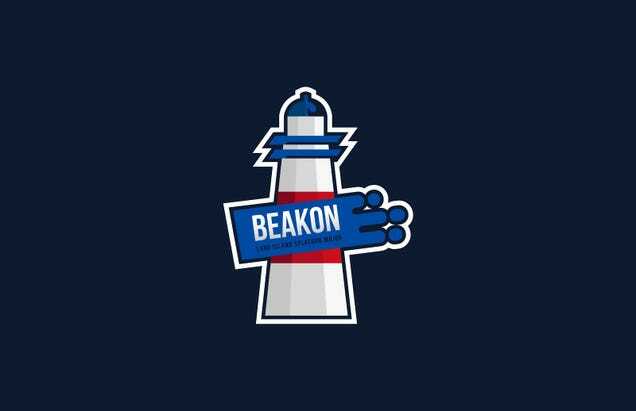 Over the weekend of March 10, The Splatoon 2 LAN, Beakon 2018, took place in Deer Park, New York. This event was a milestone for the game boasting a combined 153 players and spectators bringing with them the largest prize pool of any Splatoon tournament. Beakon 2018 also featured a set of rules that differs from the common set used by other tournaments. Rule changes seem like a smaller note than most prize money, but those changes mark the most important aspect of that tournament. Those changes are a competitive community defining itself. The League of Legends World Championship had rule changes practically every year until recently. The Season Three Championship notably only having two groups, and region winners were given a bye into quarter finals. Counter Strike: Global Offensive changed their rule set to limit the interaction between teams and their coaches in 2016. For better or worse, other competitive games changed to try and better represent their communities. Now it’s Splatoon’s turn. Genesis 5, the previous major, used the EndGameTV published rule set. One Best of Five series used in the round robin pools and double-elimination brackets. Grand Finals saw two Best of Sevens being played due to a bracket reset. Each Best of series was a mixture of all ranked modes available to be played on every map. Beakon 2018 changed this from the start. Only nine of the available maps were approved for the tournament with two of the four ranked modes allowed per map. For example, Kelp Dome would be home to Tower Control and Rainmaker, but not Clam Blitz or Splat Zones. Once the tournament entered into the Top 12 Bracket portion matches were three sets of Best of Threes with each mode represented by its own series. Winning a set would require a team to win two of three matches of Splat Zones and two of three matches of Rainmaker. The best thing about these changes are that they make sense. Long Island Splat touched a bit on their thinking behind the reduced map list citing the time and effort required to practice all the possible map combinations in Splatoon. While commentating at G5, Vespher (player for Komodo) mentioned that the first time he ever played Splat Zones on Inkblot Art Academy was in one of their matches. They lost that game. There were 17 maps at the time of Beakon 2018 with four modes possible for each map equaling 68 possible combinations. That is a lot of practicing. Reducing the map list to nine maps with two modes each means that players only had to practice a much more manageable 18 combinations. The “Bo3-Bo3” was a more interesting choice without an immediately understandable reason, so I reached out to the team to find out why the change was made. The logic behind using a Bo3-Bo3 stems from Splatoon 2 having 4 ‘ranked’ modes: Splat Zones, Tower Control, Rainmaker, and Clam Blitz. In other Splatoon 2 tournaments, you have BoX’s where the games rotate through the various modes. For example, in a Bo5, you could have something like Splat Zones, Tower Control, Rainmaker, Clam Blitz and Splat Zones. While this is a Bo5, another way to look at it is technically a series of Bo1’s (excluding Splat Zones in this scenario due to potentially 2 Splat Zones being played). We felt like this doesn’t always determine the better team. Instead, if you played a Bo3 for each mode, that would more accurately show who is the better team at that moment. Ideally, every match would be a Bo3 for all 4 modes, but 1) you can’t do an even amount as it could result in a 2-2 tie and 2) would take too much time. The idea, thought up by LilSoundDJ, makes perfect sense using that reasoning. I wasn’t sure about watching that much Splat Zones or maybe I would miss seeing every team try to figure out how Clam Blitz works, but that was never an issue. The Tournament Organizers tried to make sure that every mode was be equally represented when deciding which modes would be featured in which set. ... that was based on making sure everything was played. For example, Winners Round 1 was Splat Zones, Rainmaker, and Tower Control (all Bo3s for each mode). Then Winners Round 2 was something like Tower Control, Clam Blitz, Rainmaker. By doing this, we’re effectively ‘rotating’ between the modes to make sure everything was equally played as best as possible. The amount of thought put into the system ensured that each Top 12 set was just as exciting to watch as other tournaments. And there was a lot of Splatoon 2 goodness to watch. Each set could have a maximum nine games to play while the other systems caps out at five or seven. To cover all of this Splatoon, Long Island Splat employed two streams, EndGameTV and AONstreams. The vods for Beakon 2018 can be found at those twitch channels. On the Long Island Splat discord channel one of the Tournament Organizers, Dr. Prodigy, announced two new events being held by the Long Island Splat team. The Long Island Splat LAN series returns with its third iteration on May 12th. The organizers will be hosting their first online event on April 8th. This tournament is confirmed to be using the Bo3-Bo3 system which they are now calling “Set Play.” Even if this rule set is only used by the Long Island Splat team, it is still an important step in the competitive community’s lifespan to try new ways to be better tournament hosts. Variety is the spice of life after all.